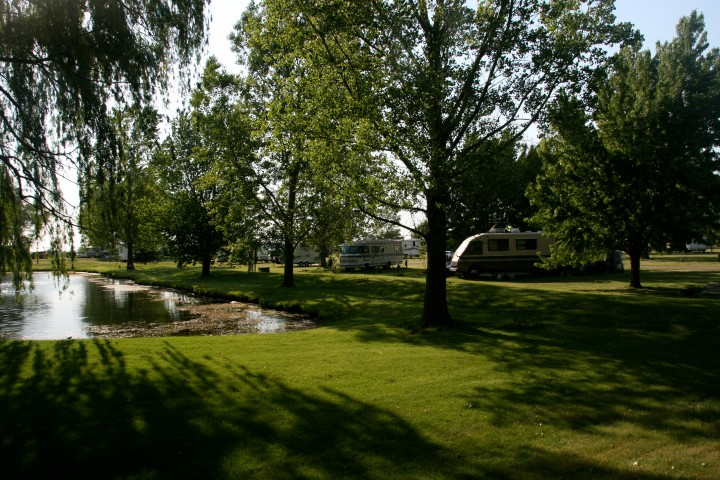 Lehman’s Lakeside RV Resort is an excellent place to stay. There is a beach, clean restrooms and showers, horse shoe pits, paddle boats canoes fishing and so much more to do. We currently have a permanent site and it is beautiful. The camp sites here are large and level and most are easy to get in. We love this place because you can camp year round and we love snowmobiling in the winter at the campground. We have met some great lifetime friends here and plan on staying a while.